Nov 15, 2018 Olympus Labs Sup3r PCT: The One-Stop PCT Shop Upgraded! 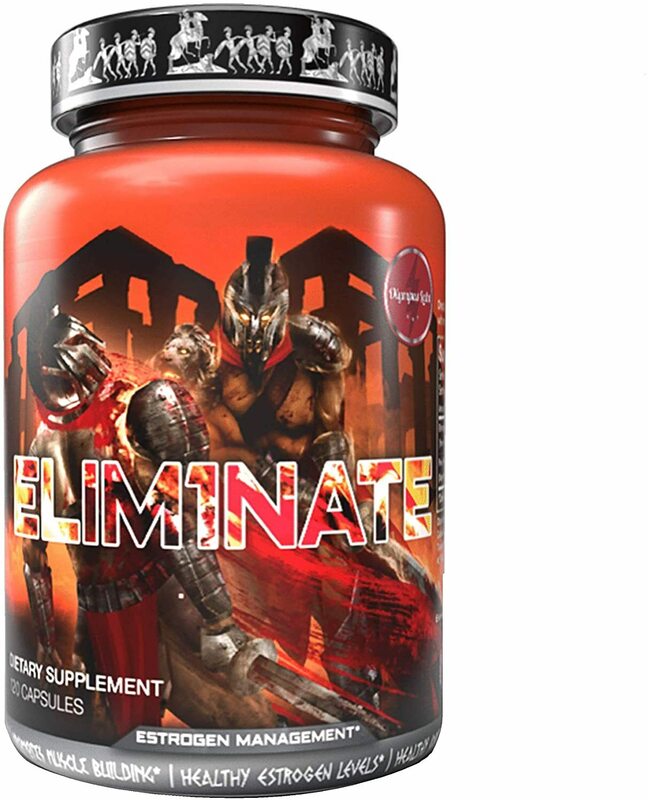 Olympus Labs Elim1nate - Natural Estrogen Blocker! Olympus Labs is taking the lead and setting the stage for the next chapter in natural Estrogen Control. Featuring the revolutionary compound Luteolin, a potent and multifaceted compound alongside our state of the art, customized Pine Bark extract, we introduce the strongest, fat burning and health promoting Natural Estrogen control product ever made! If you are looking to take your physique to the next level and feel high levels of natural estrogen are holding you back, look no further. 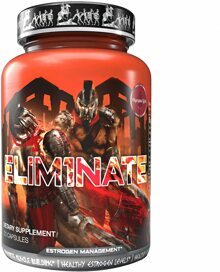 ELIM1NATE features two natural compounds which have very potent aromatase inhibiting, fat burning and health promoting properties. It can be used at any stage of a training cycle when lower natural estrogen levels are desired. ELIM1NATE shines during a Cutting or Recomp cycle to assist with promoting both leanness and hardness. Bodybuilders and fitness enthusiasts who are interested in a natural way to safely modulate natural estrogen levels, increase leanness, muscle hardness and promote overall health. Luteolin – Is a natural flavonoid which is present in numerous plants products including Oranges. It has been shown to potently inhibit aromatase in human cells, which is the key enzyme which converts natural Testosterone into natural estrogen. What makes Luteolin so special is its multifaceted actions. Firstly unlike pharmaceutical Aromatase Inhibitors, it has been found to have the opposite effect on cholesterol balance, where it has been shown to lower LDL levels and raises HDL concentration. Addtionally, Luteolin has been shown to assist in ameliorating diet-induced obesity and insulin resistance as well as possessing the ability to activate browning of fat cells and thermogenesis. To top it off, Luteolin potently inhibits the Catabolic Protein ‘Atrogin-1’, a key pathway to muscle atrophy! Not only can it assist with fat loss and muscle hardness, but it can also protect from muscle loss during a dieting phase! Finally, other promising research shows that this superstar compound possesses anti-oxidative, anti-tumor, anti-inflammatory and cardiac protective properties. Pine Bark Extract– Contains various naturally present Resins, which has been shown to exhibit significant aromatase inhibiting activity. Research also shows that they can enhance production of adiponectin, a protein that helps supports weight loss, as well as assist with regulating blood glucose and insulin sensitivity. Like Luteolin, Pine Bark Extract also displays multifaceted actions, where it has been shown to be a potent antioxidant which promotes healthy inflammation management in addition to providing support for connective tissue and blood capillaries. The combination of both ingredients will lead to serious natural estrogen modulation and in turn an increase in natural Testosterone levels, leanness and hardness. But unlike other natural Estrogen modulation products which lead to a deterioration in health markers, ELIM1NATE will promote wide spread health benefits!